Lately I've been obsessed with getting a natural glow. Probably because summer is around the corner and that is when everyone's skin should be at it's best. The sun plays a great role for us in the summer, from boosting our mood to your completion. Remember to use sun block though! Depending on your skin type, creating a luminous look can either make or break you. If you have extremely oily skin, you do not want to exaggerate shine, so apply diligently. For normal to combination skin the process is easily achieved, but you will also need to apply with a slight of hand. To achieve a natural glow here are some products I've been obsessed with using. The Milani baked blushes are probably one of the best baked blushes at the drugstore. 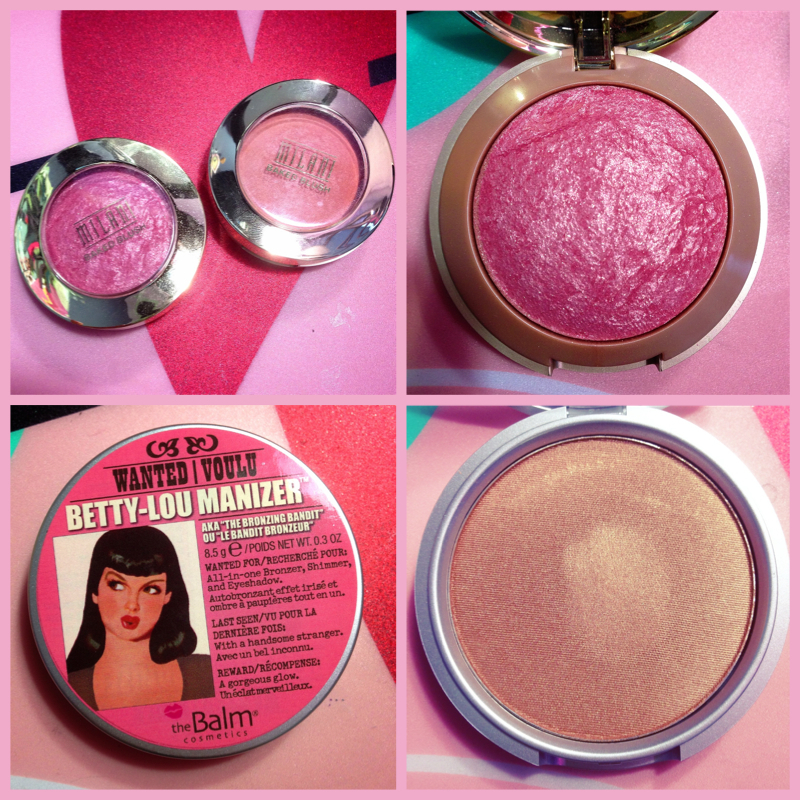 Did you know baked blushes are creamier than regular pressed blushes? The texture is achieved during the "baking" process and what's great is that you can use them dry or wet. Milani baked blushes come in a variety of colors but these two are my favorite to use on a daily bases. The color of this product is beautiful. It has a warm pink tone to it, as well as golden sparkle that seems to disperse ever so slightly after applying. Using an angled blush brush, tap the brush into the powder and apply to the apple of your cheeks starting from the top to the where your apples are. I call this The Reverse. Reason? It creates a natural contour in a way. Also in case you have applied too much, its easier to clean up. Left Dolce Pink, Right Luminoso. Oh the color is gorgeous yet again! For those of you wanting a natural glow this one is for you. It's a peachy color with little sparkle. I for one find it more pigmented than Dolce Pink, so use it sparingly. Using a flat or angled blush brush, apply to the apples and up towards your ear. The process is much simpler. The results are a natural flush of color as well as a luminous glow. If you are not into looking pale due to the winter blues, have no fear. Bronze can be your new BFF. There are differences between matte and non-matte bronzers obviously. I like using matte bronzers to contour in the summer time. 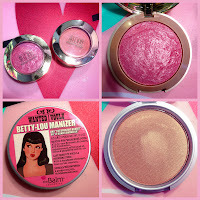 Since it's spring, I've been using a glittery type bronzer create that glowing effect. Is EXTREMELY pigmented. If the caps did not warn to enough then I don't know what to tell ya! This product is meant for eyes and face which is an additional bonus. I sometimes dab it in the center of my lids for some color. Using an angle brush, apply this sparingly on starting from the top of the cheekbones towards your apples. Also dab some on your eyelids to look fabulous!